If you read my original article on Morocco, the first one I wrote while returning from the trip, you could have had the impression that I disliked everything about Morocco. There are some great things about Morocco and I listed some of them on that article and I will refer to one of them today when reviewing my stay in Chefchaouen. 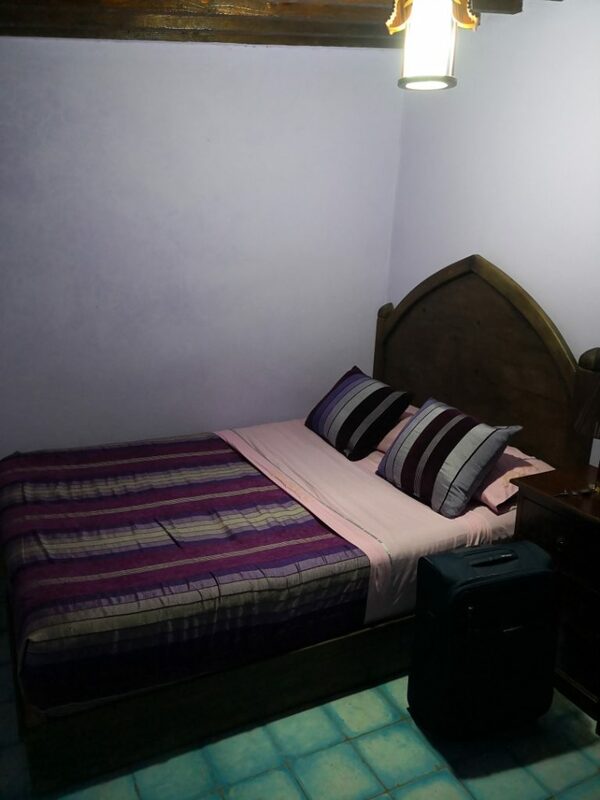 When searching for accommodation in Chefchaouen i got distracted by a couple of reviews that were from my own country who praised this place I will review soon so I started looking into it. With 8.9 on Booking.com from over 640 reviews it sounded like a great deal especially since the price was very good. 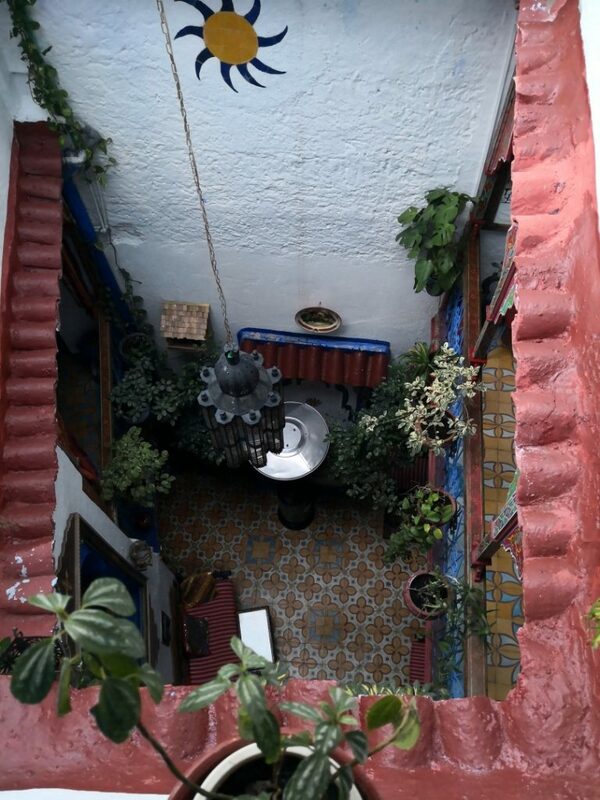 So I pressed the book button and that’s how I ended up at Dar Antonio in Chefchaouen. Actually I ended up there after switching planes and driving a car for 5 hours from Fez but that’s another story. I arrived at the place around 21:00(with a bit of help from a boy in the parking lot) and I truly think that without the help, after 19 hours of travel, I would have had some trouble finding it. During daytime it’s easier but at night, being tired, it felt difficult at that time. What I can tell you from the start is that the host is great. A real good, helpful man that made my stay great with our talks or with little things I needed. Being inside the Blue City there is no parking available on the spot but you can leave your car in a paid/guarded parking lot just 100/150 meters away tops. From what I remember I paid about 4 Eur/2 nights so the price is not really a problem. Outside, there’s a small path that leads to the place and inside I smiled because it looked very small and pretty. I don’t know exactly how many rooms Dar Antonio has but I guess no more than ten. My room was situated at the top floor and as a word of caution, the stairs are very narrow so bringing a large suitcase could mean trouble or at least a very difficult time moving it up and down! The main advantage of having the upper room is that right outside there was a small terrace that I used on each night I spent there to relax and watch the stars. Since Chefchaouen is in the mountains and there are no huge buildings or strong pollution the stars are visible each night. Or at least when I visited I was able to see them on both occasions. The room was small but clean. The host showed me where the extra blankets were in case i got cold(which I did but I guess it was due to how tired I was not necessarily to cold weather). There is also a small kitchenette where you can prepare breakfast if you want or deposit some things to eat later. Regarding the bathroom I have mixed feelings. As a solo traveler I did not mind that it was a shared bathroom. From my room I had to go down two small flights of stairs to reach it. Since I don’t wake up at night to go to the bathroom I was OK with the positioning and only used it to shower before going to explore the city. But if you know you’re waking up at night and need to use the bathroom or you need to clean your hands or just don’t enjoy walking outside your room to shower then this place is not for you. I had no problems with it as a solo traveler but I totally understand people who do not enjoy shared bathrooms. This was in fact, from what I remember now, the first time I booked a room with a shared bathroom and while it was an OK experience I will still opt for private bathrooms on my trips. 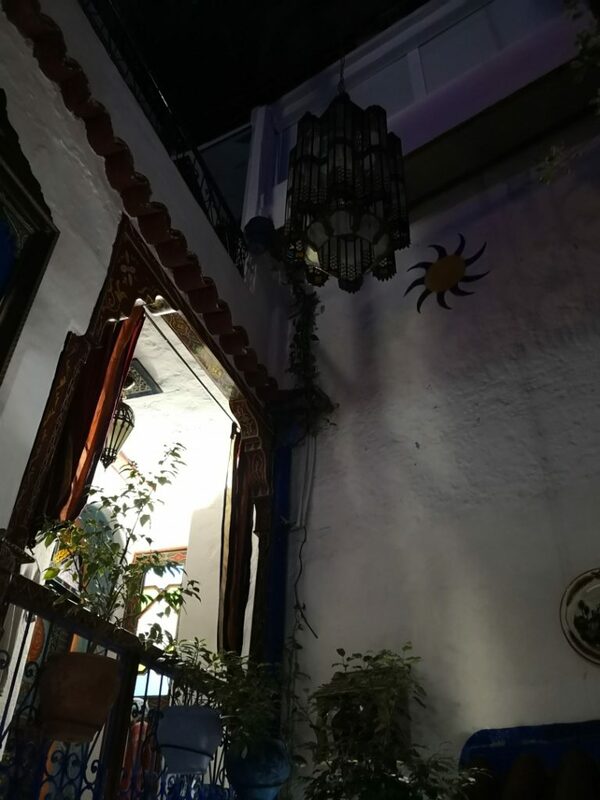 Because I plan to keep my articles shorter I will end up this post by saying that Dar Antonio is really a great place to stay in while in Chefchaouen. The only disadvantage could be the bathroom but if you are travelling solo or just there for one or two days it is really not that big of an issue. As a bonus, because I forgot about it until now, the place has WiFi so you can easily share your pics with your loved ones when you reach your room. I don’t usually write about WiFi but internet prices in Morocco are ridiculous. When I landed in Fez I got a text from my operator that told me that while in Morocco the price for internet was 10.59 Eur/MB. So be pretty careful and ask before departing. What I did was before exiting the airport was to look inside for a small store that sold Internet Sim cards and bought a 10 GB one for about 15 Eur. 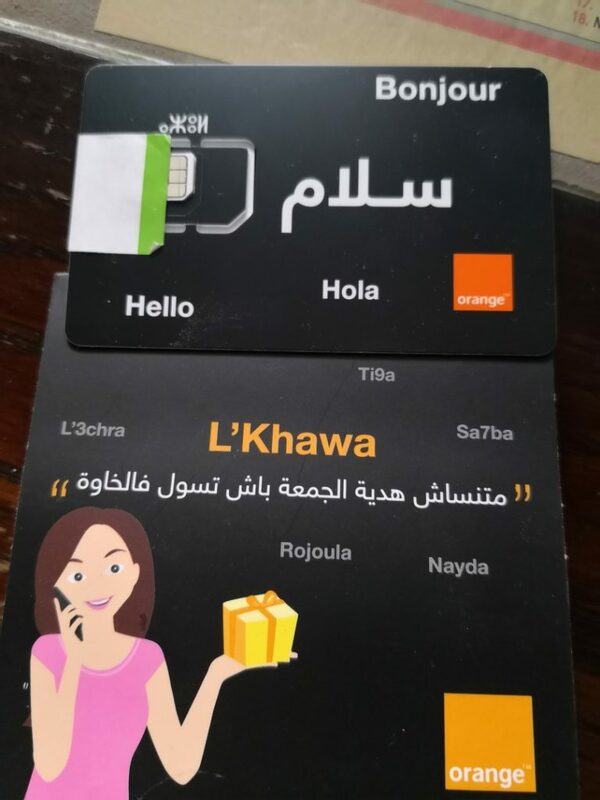 The card is from Orange and below you can see how it looks since I think this is the only type of card that will help you in Morocco. All in all I cannot help but recommend this place due to its placement and to the wonderful host that will be there for your needs. See you soon with a new article from my UK Series! How was food at Britain's most southerly Cafe?